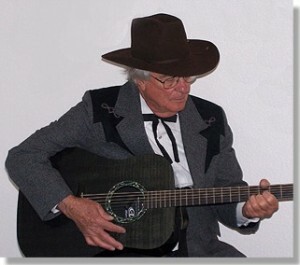 MRBA member, Jay Barber, the Whistleberry Cowboy, has a new website online.Â He has samples of his original cowboy songs and some of his writings.Â Â With song titles like “I I just don’t look good naked anymore” and “Viagra Cowboy” your bound to get a giggle or 2 out of Jay’s music. Check it out at www.whistleberrycowboy.com. Hi Phyllis and Curt.Â check out my new web page.Â I have found the most economical way to get my songs out is to write funny songs.Â They send them off to their friends so all can get a laugh.Â I know this isn’t the kind of thing you would put on your mail list but you might know some people who would enjoy listening to them.Â Let me know how you feel about these songs. WE are in AZ now but can’t wait to get bach to Montana. This entry was posted in Events, Funnies and tagged arizona, jay barber, website, whistleberry cowboy by Phyllis Erck. Bookmark the permalink.